Royal Wheels India is an adventure travel group organising Sariska National Park Tour Package in India. of February May there is a shortage of water and in consequence mammals are attracted to water holes. At this time of year visibility is good because of the sparse foliage. Sariska is excellent for birdwatching and has an unusually large population of Indian Peafowl. Open year round, the best period being November-April, especially March-April. The nearest airport is at Jaipur (115 km 3 hours ) and the nearest railway station is at Alwar (36 km). The drive from Delhi takes 5-6 hours. The grand Sariska Palace, built in 1892 - 1900, near the park office has a large sprawling complex. The main palace, built by the Maharaja of Alwar as a hunting lodge, has been converted into a hotel. Sariska Palace is 38 km from Alwar Railway Station and is located inside the Sariska Wildlife Sanctuary. The facilities offered include room service, hot and cold running water, swimming pool, health club, Ayurvedic treatment, Money changing. Each room is richly furnished with original Louis Quartzes and art deco furniture and has private bathroom with bath and/or shower and toilet. Nearby is Tiger's Den, a tourist bungalow run by the Rajasthan government RTDC & a private budget property called Tiger Heavens. There are good roads within the park and some watch towers. 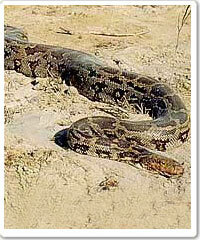 Safaris are by 4-wheel drive motor vehicles. Depart from Delhi to Sariska ( 235-kms; 6 hrs). Upon arrival, check-in to your hotel or resort. Overnight at the hotel in Sariska. Enjoy your morning and afternoon jeep-safaris in the Sariska national park. Overnight at the hotel in Sariska. Depart from Sariska to Delhi / Jaipur. Upon arrival you will be transferred to a nearby airport hotel and later on for your onward journey. Arrive in Delhi. On arrival transfer to Hoteland spend overnight at the hotel. Enjoy a sightseeing tour of Delhi visiting Jama Masjid, Red Fort, Ghandi Samadi, India Gate, Humayun Tomb, Bhai Temple, Qutab Minar and driving past President's House. Stay overnight at Hotel. Drive to Sariska. On arrival in Sariska, check-in at a Hotel. Have an evening visit to the Park. Stay overnight at Hotel. Early morning visit to the Park. Afternoon drive to Ranthambore; on arrival in Ranthambor check in at Hotel. Stay overnight at Hotel. Morning visit to the Park. Spend afternoon at leisure. 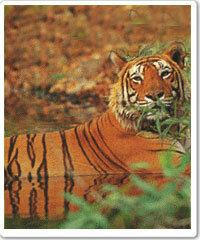 In the evening visit the Ranthambore Park. Stay overnight at Hotel. Drive to Bharatpur. On arrival check-in at a Hotel. Spend evening Bird watching at Bharatpur by Cycle rickshaw or on a boat cruise. Stay overnight at Hotel. Early morning Bird watching by Cycle Rickshaw or boat, thereafter drive back to Delhi. On arrival in Delhi, transfer to the airport for flight for the onwards journey.